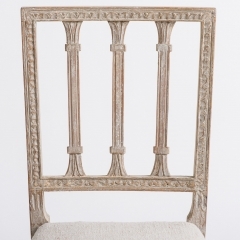 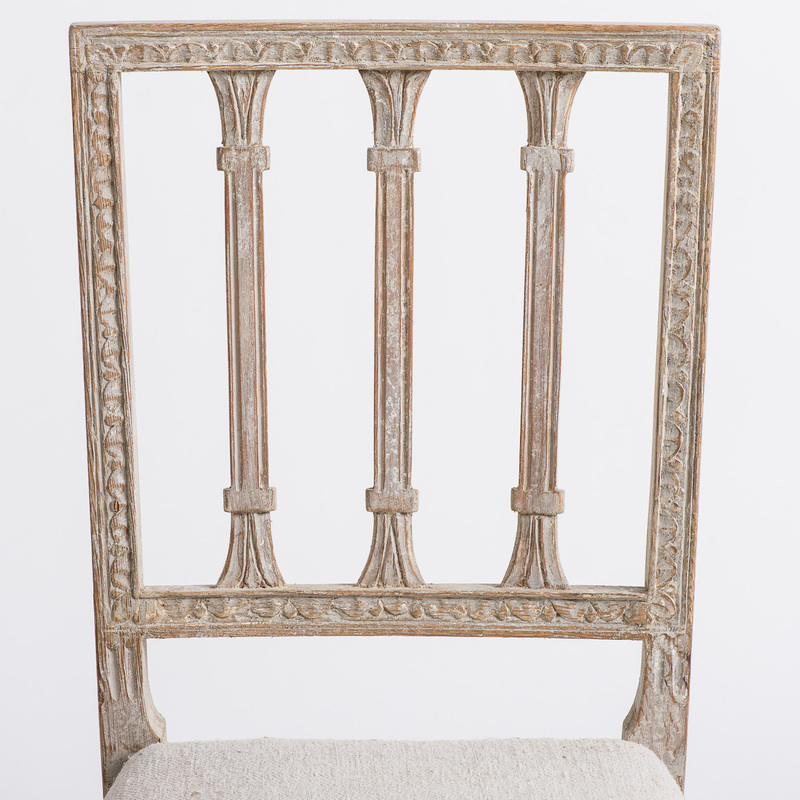 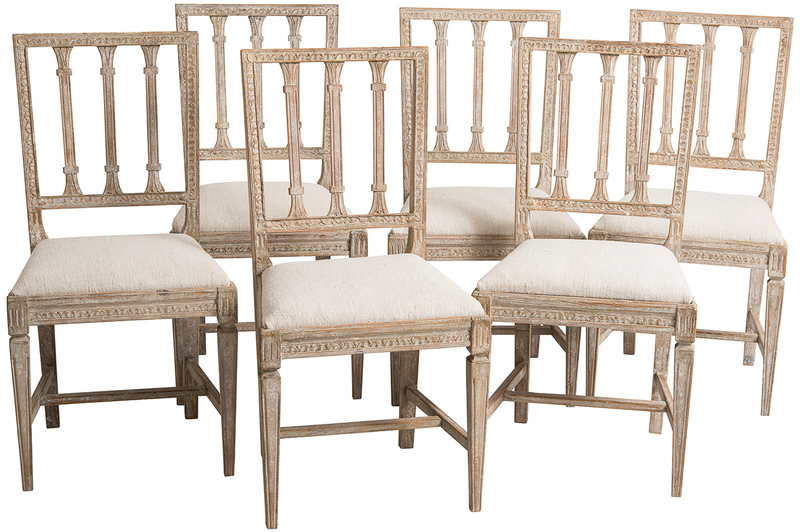 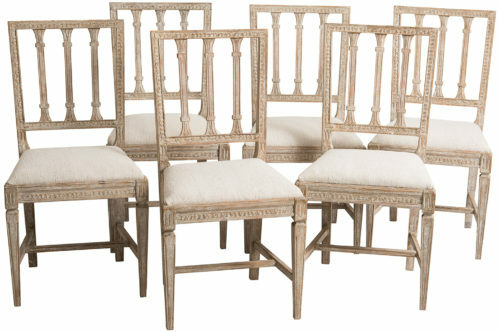 This elegant set of Swedish chairs in the lotus pattern are often attributed to chair makers of the Stockholm guild. 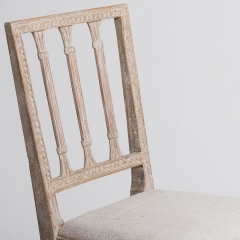 This design with its clean lines was very popular with the nobility in Stockholm and a set was commissioned for the grand dining room of Haga castle in 1805. 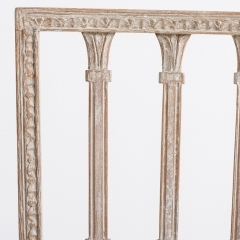 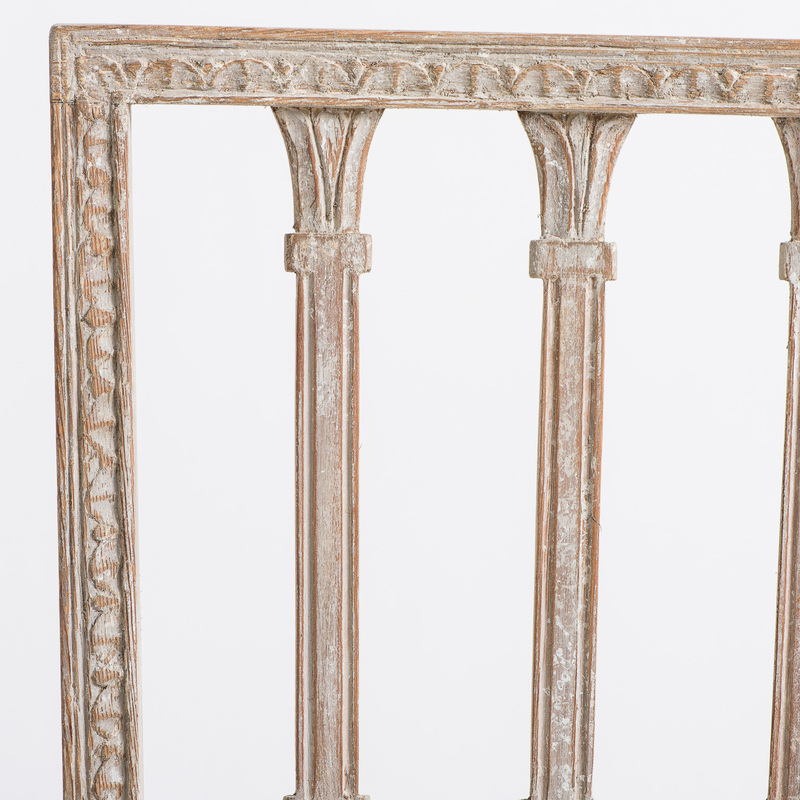 The nicely dry scraped paint surface of this set with traces of white paint remains in good condition. 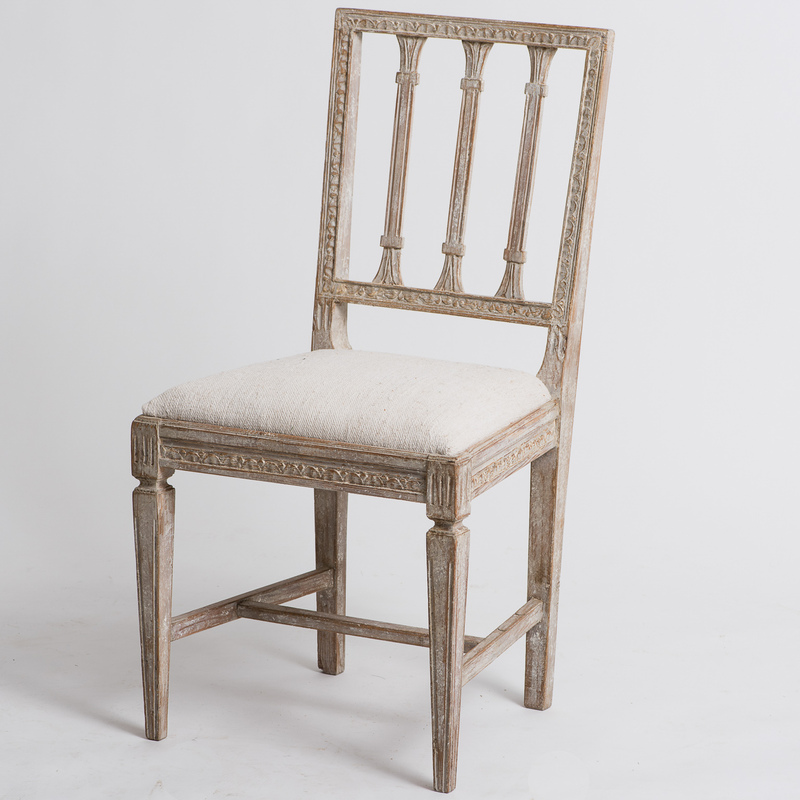 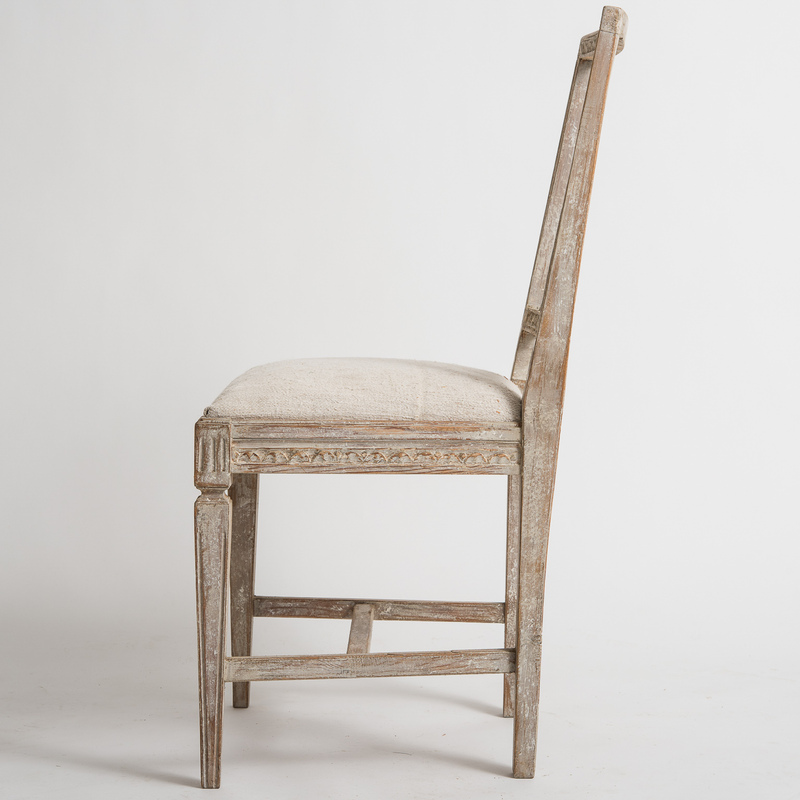 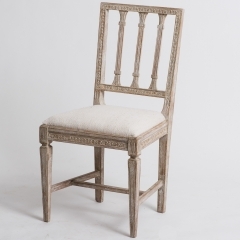 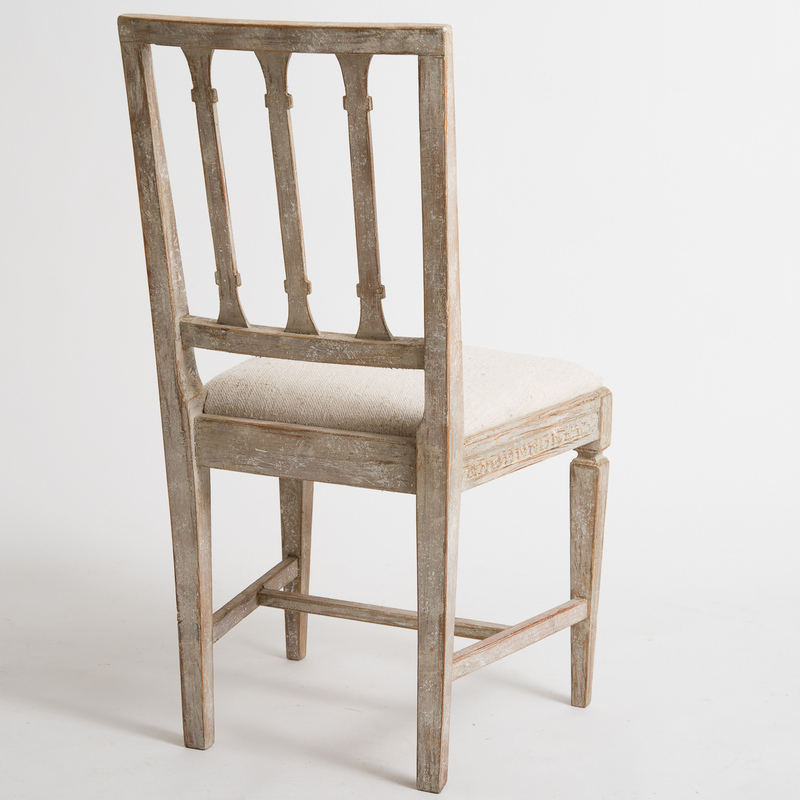 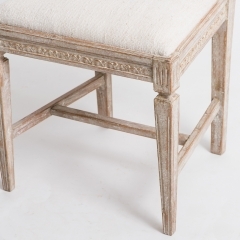 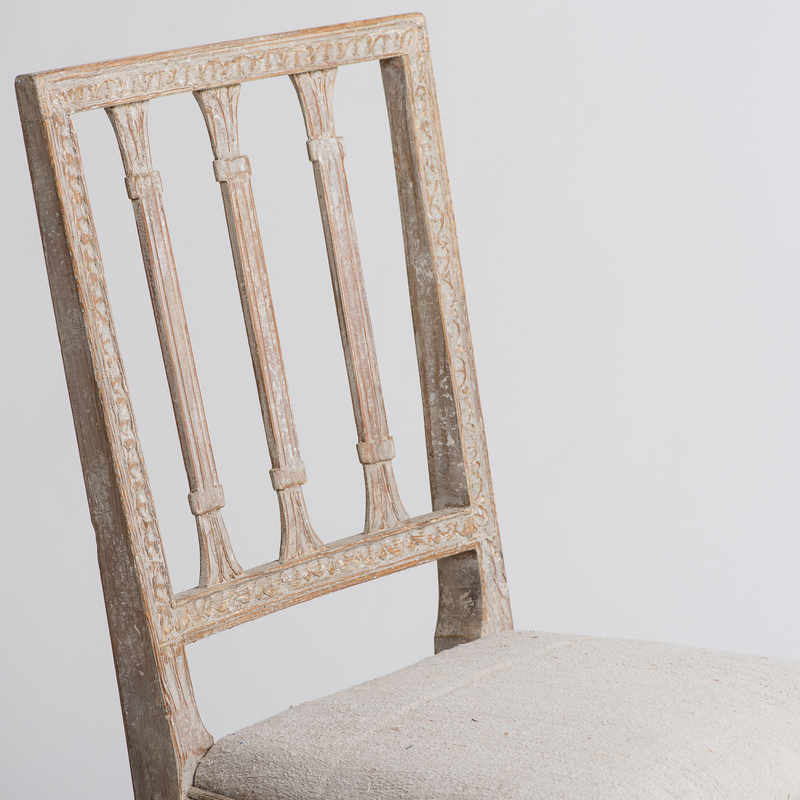 The chair seats have been upholstered in a beige linen fabric.